Wondering how to take a Sketchup model and use it to print a 3D model? It’s simple! All you have to do is install a plugin and export your file from Sketchup to STL. This will allow you to turn your Sketchup model into a 3D printable file. You can use an existing model you have, or download one from the 3D Warehouse. Window > Extension Warehouse. Click on the “extension warehouse” button in the top menu bar. 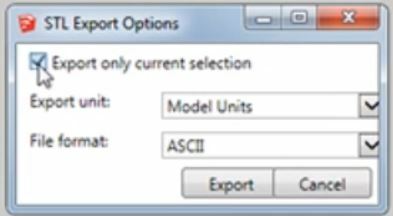 If you do not have that bar for any reason, simply navigate to “window” and click on “extension warehouse.” The extension warehouse window will pop up. Search STL. Once the extension warehouse window opens you can search for the plugin. 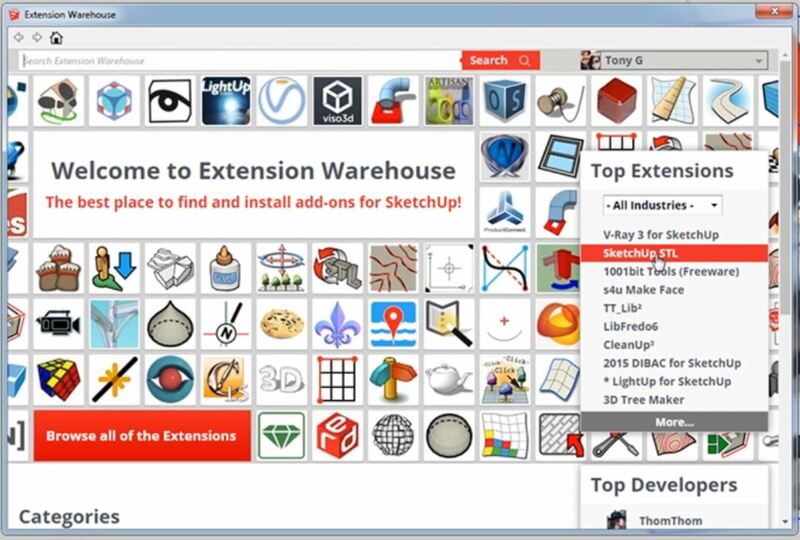 You may notice the “Sketchup STL” option in the right box labeled “Top Extensions.” You can select it from there, but if it is not listed you can just use the search bar. 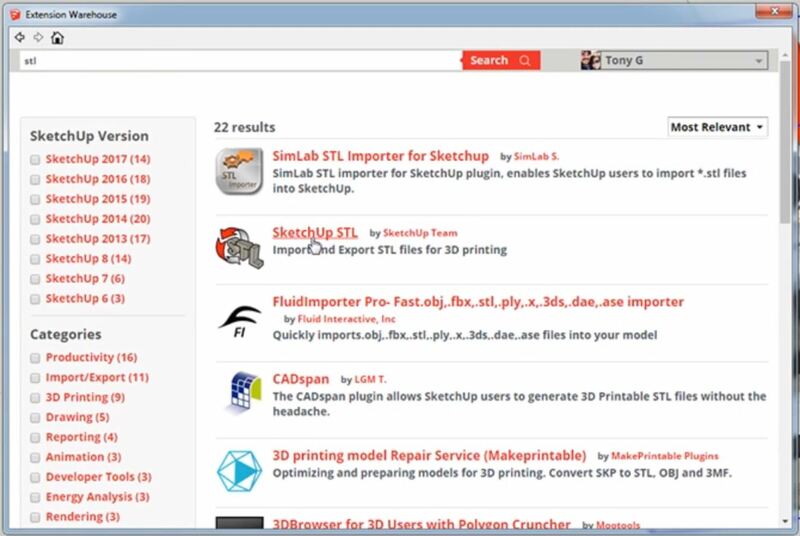 Type in “STL” in the search bar at the top left of the window. Select Sketchup STL. After you enter your search, a bunch of different options will come up. 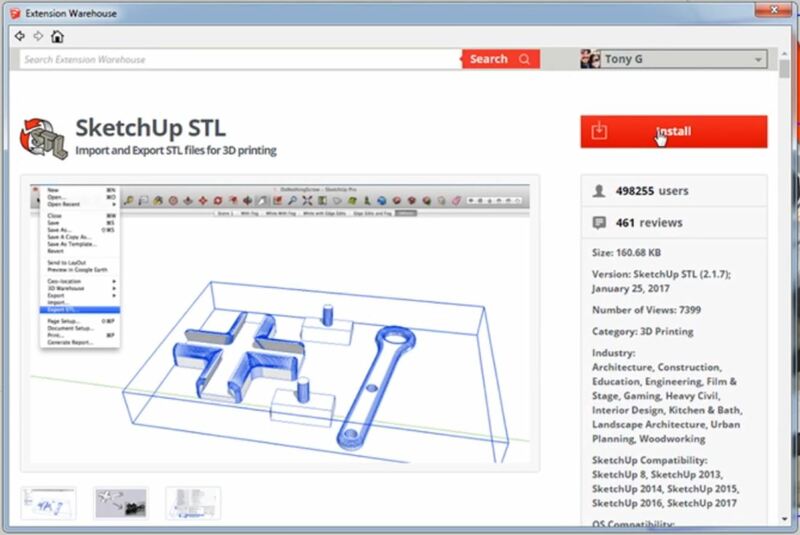 Select the one that says “Sketchup STL” by Sketchup Team. We know this one is from a trustworthy source because it was made by Sketchup. Install. To install the plugin, click on the red “install” button in the top right corner. A message will appear asking you if you want to install the plugin, select “yes.” After it is installed, another message will appear letting you know it has been successfully installed. Click “ok” to continue. Export. 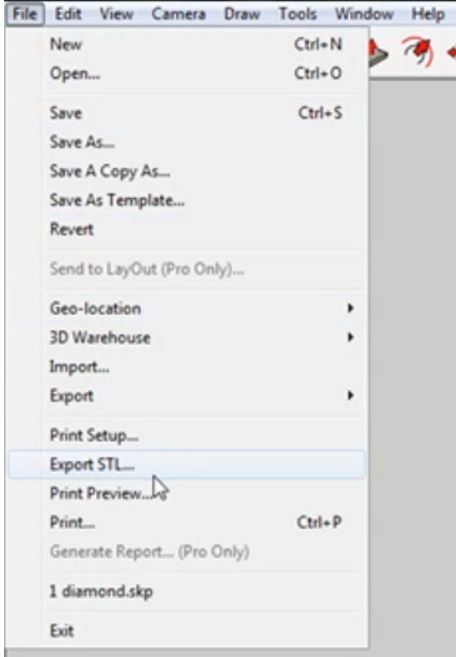 Once you have your export settings selected, hit “export.” You will then be able to choose where you want to save your file and then click “save” to finish. You may have to export your model to another file depending on the type of 3D printer you have, but STL files are pretty universal so you should be able to use it for a variety of projects. 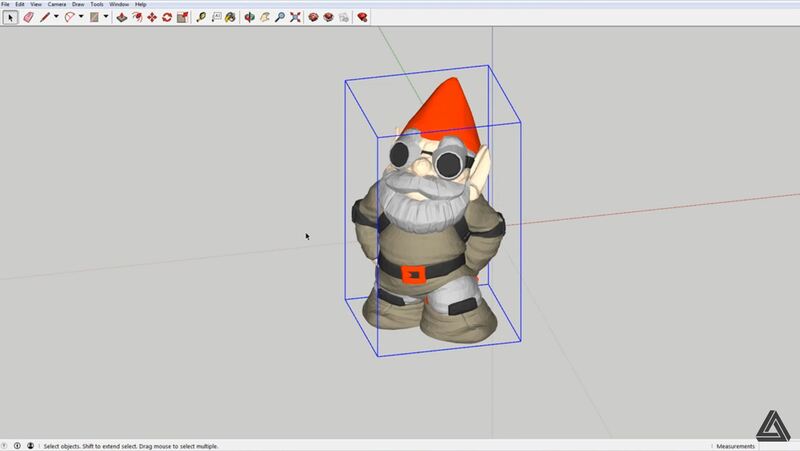 You can now easily export your models from Sketchup to STL files! Sketchup has plenty of other useful plugins you can use to make your projects easier. Looking for more plugins for printing? Check out how you can unfold faces of a model here. What files will you be 3D printing next? Let us know in the comments below!